Home designers might say there's a "wrong" way and a "right" way to paint or renovate the exterior of a home, but most design rules are only guidelines that may help you get the most out of improving your home's exterior curb appeal. A little investigation into exterior remodeling will reveal many sleek and modern options for sprucing up your home's exterior and creating a stand-out home. You might think that if your home has a brick exterior that the look of your home can't change beyond getting a new roof and painting the trim around the windows, but brick is a versatile material that reacts well to new paint. If you're tired of the architectural details in your home, don't be afraid to open up a can of paint. The results can be stunning and room-changing. Perhaps your traditional red brick home might benefit from a striking coat of royal blue. You could update the brown trim around the door to a peaceful shade of white and replace the front door to match the new exterior. In addition to updating the major features of the facade, like the siding, paint, and roof, a home facelift might also feature updates to the hardware, lighting, doors, and even the vegetation around the exterior. One of the best ways to boost work done to the exterior of your home is to highlight it with lamps and creative illuminated pathways. Landscape lighting ensures that your family, visitors, and passers-by will be able to appreciate your home's new exterior during the day, as well as during the evening when the lights illuminate. Curb appeal doesn't end when the sun goes down. Highlight pathways and trees with landscape lighting. It improves safety and can yield dramatic effects for your home's nighttime appeal. Refurbishing the exterior of your home is one of the best ways to create a lasting and new look for your home. Whether you choose to keep your residence looking similar to its old shape or whether you choose new colors and features, the project will breathe new life into your home. Whether dreaming up decorating schemes to refresh a space or planning a complete interior transformation, homeowners spend a lot of time and energy considering ways to reorganise internal layouts. However, paying careful attention to the exterior of a property is just as important if it’s to retain and, in some cases, increase its market value. 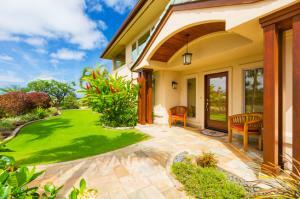 Are you interested in improving your home's exterior? Contact JH Exteriors for a Free Estimate for your home or call us at 1-636-642-1928.